Is gossip a problem for the women in your group? 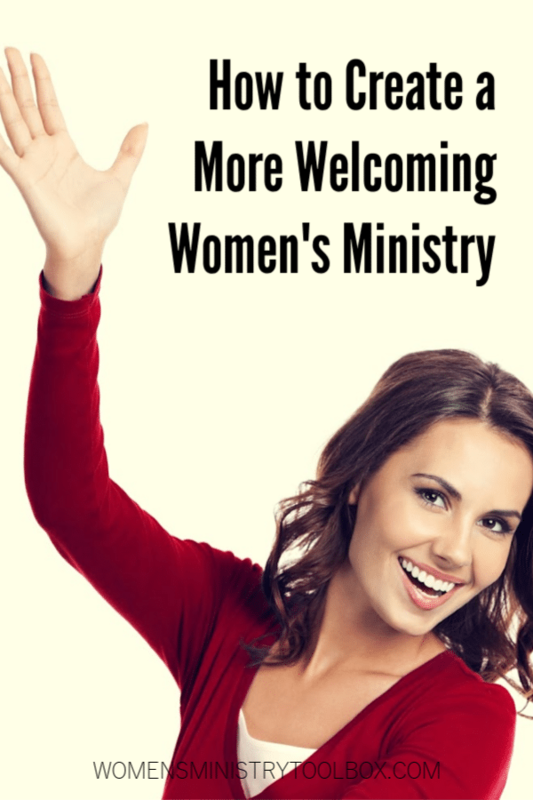 Would a guest feel welcome if they attended one of your women’s ministry events? If you’re struggling with women who are less than welcoming, sadly you are not alone. She admitted that she had seen firsthand the destruction that can be caused by that type of behavior. Haven’t we all? She wanted to know how leaders can fix this issue of women behaving badly. What a great and challenging question! While we certainly can’t control how every woman behaves and speaks, we can set expectations, model appropriate behavior, and create an atmosphere that is welcoming. 1. 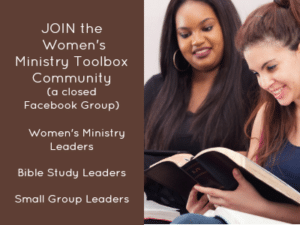 Start with your women’s ministry team. Train your team how to love on women as they come through the door. Train them to make purposeful introductions and how to engage women they see sitting on the sidelines. Help them to be aware of times they slip into holy huddles and cliques. Consider role-playing different situations so they can practice. Your team must model what they expect from those in attendance. Incorporate these expectations into your team documents. 2. Select Bible studies and event themes that focus on biblical hospitality. Skip the silly minute-to-win-it games and choose games that highlight shared experiences and personal preferences. Consider games that require women to circulate around the room and talk with others. Break up those cliques (SHARE Bingo, Things I Love, Meet Your Match). If your icebreaker is appropriate for small groups at tables (A Day in the Life, My Few of My Favorite Things, Roll and Poll), then you can still mix up your group up by having 3 people from every table get up and move one table over. I know you may initially meet some resistance, but if you stand firm and explain why most of your women will adapt and benefit. They do this at my church for almost every women’s ministry event. It’s expected and our women actually enjoy it. You’ll need to require registrations in advance. You can divide women the way I explain in this post or you can be intentional and group women by their area of town or by similar seasons in life. Just be sure you mix in your new/newer women with those who’ve been at the church for a long time. Assigned seating is a great way to ensure women from multiple generations interact with each other. 5. Create opportunities for your women to pray together one-on-one. It’s much more difficult to be catty with someone you’ve prayed for and who has prayed over you. Prayer softens hearts and opens the door for deeper relationships. Prayer creates an intimacy that stretches beyond that moment. You’ll find several tips for setting up prayer partners in this post. 6. Design guided discussion groups. Combine with #5 and #7. Be intentional with your discussion groups and give them a list of questions. Guided discussions help keep women focused on the task at hand. 7. Establish discussion group or small group guidelines/covenants. Discussion group guidelines create a safe space where women can share without fear of gossip or judgment. I suggest reading your guidelines out loud to the group. 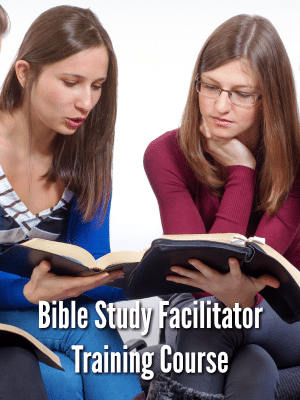 If your group will meet repeatedly, over a retreat weekend or as a weekly Bible study, have the group sign and return the guidelines and then hold women accountable if they struggle or fail to hold them. You’ll find some examples here and here. 8. Provide leadership training for all of your volunteers. Don’t assume women know how be welcoming. Teach them what that looks like in your church. Clearly communicate, verbally and in writing, \your expectations. If you don’t want them to huddle and chat in the kitchen once women begin to arrive, then tell them in advance you expect them to circulate and talk to women they don’t know well. Showing what you expect is powerful and eliminates questions and assumptions. 9. Refuse to participate in or tolerate poor behavior. You may have to pull another woman to the side to lovingly discuss her behavior. Assume she wasn’t aware and pray for her. You will need to stop gossip in its tracks – don’t just ignore it – shut it down. You may have to make a phone call or write a note of apology on someone else’s behalf. Model humility and repentance. 10. Provide opportunities for women to serve together. Service changes the focus from “me” to “we”. When women have to rely on one another to complete a task or project, they are more likely to extend kindness to their teammates. Doing something challenging together like serving in a local soup kitchen, assembling pillowcase dresses, creating no-sew fleece blankets, or completing random acts of kindness creates opportunities to bond. Shared experiences create unity. Consider these 60 service project ideas. We can’t change hearts, but God can. Spend time personally and as a team praying for God to unify your women. 2 Corinthians 13:11 is a great starting point, “Finally, brothers, rejoice. Aim for restoration, comfort one another, agree with one another, live in peace; and the God of love and peace will be with you.” You may also want to pray Colossians 3:14, 1 Corinthians 1:10, 1 Peter 3:8, and Ephesians 4:1-6. 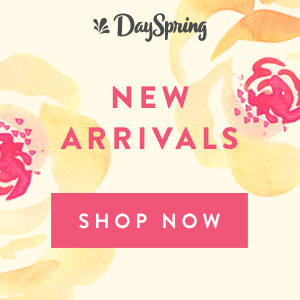 I pray God will give you discernment as you seek to create a more welcoming women’s ministry. What ideas do you think would be most helpful in your church? Three years ago: What will you eat on your retreat?